If street parking is not available, the closest parking garage is in the Kabuki Theater building on the corner of Fillmore and Post Streets. Conveniently located near the MUNI 22 and 38 bus lines. To inquire about a full restaurant buyout, please email events@statebirdsf.com! 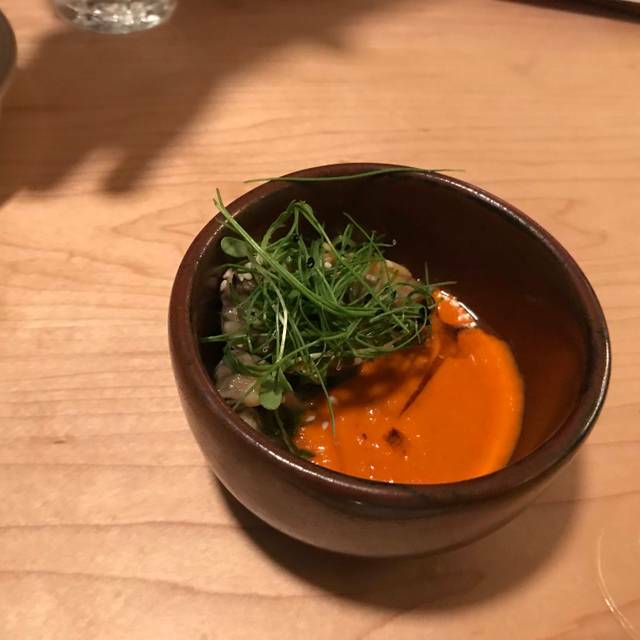 State Bird Provisions is an adventurous, inventive, delicious, thoughtful contemporary American restaurant; which started as a recipe for serving quail and has slowly evolved into a restaurant without any programmed elements. The service and food were excellent! I brought my mom here and really enjoyed the dim sum vibes. Wonderful birthday dinner, with birthday candle and everything! Small place so reservations are a good idea. Very interesting food combinations served from menu or dim sum cart. Staff is friendly and efficient. Everything is worth a try. Highly recommend this restaurant. And yes you should try the state bird. Excellent food! You get to try a little bit of everything. A bit experimental, so some dishes are hit or miss. Great Service and food, menu is seasonal which I luv. 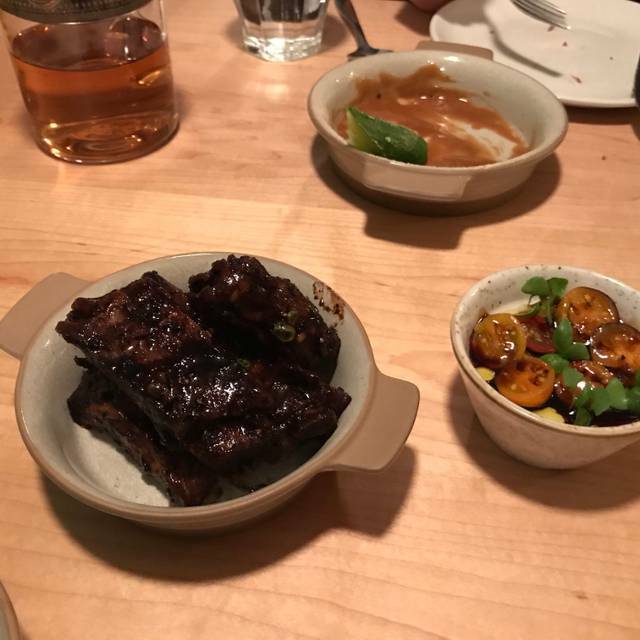 Two ways to order, off traditional menu & secondly they bring carts of items off menu - small plates that are shareable and everything from octopus, ribs, veggies, dumpling, & avocado dessert was top notch. Explanation by staff of ingredients as well as recommendations were perfect. Food was just salty. This is the worst part. When a restaurant cannot get their food right nothing else matters. The combinations are nothing more than interesting. Better suited to be seen and read about but better left un-eaten. 2 dishes came out late. Reservations are not worth it. Ambiance was nothing great. Just a regular place. There are many better dinning options such as Hakkasan. Where there is much better ambiance service and food at a similar price point. 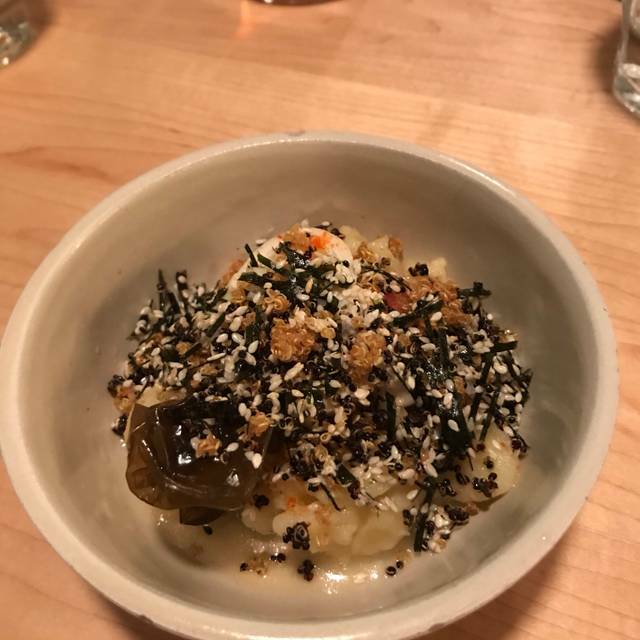 As always, State Bird impressed us with exquisite and innovative dishes, many comprised of seemingly simple ingredients, resulting in dishes that were complex. Also, the service was impeccable and the atmosphere was delightfully energetic. Amazing food! We came with a group of four and ate all of the dim sum plates and a couple from the menu. Literally everything we ate was delicious! This place is next level! Love the food and service. 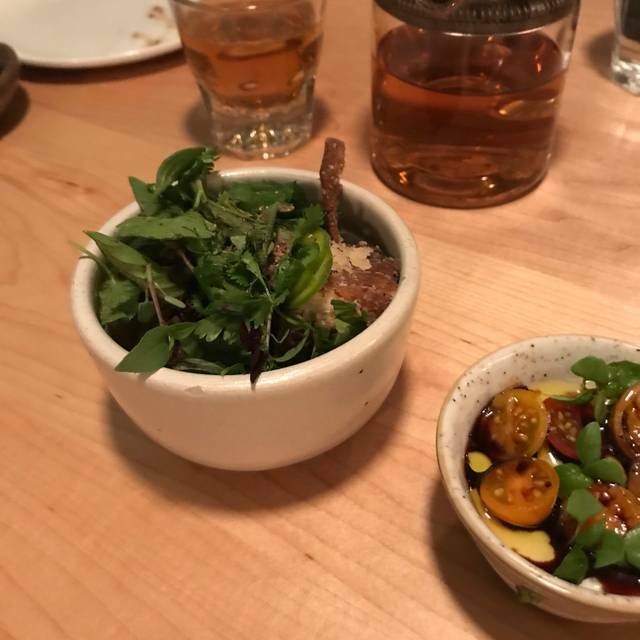 Always a great time at state bird provisions! Service was super attentive, friendly, and generally excellent. Jerk octopus and some cold noodle dish we had with mushrooms and trout roe, I think, were both excellent as was the guinea hen dumpling. The garlic bread with burrata and ribs with black bean sauce were fine but not particularly exciting flavor-wise. We felt compelled to try the fried quail, as it was our first time there. It was crispy, and the vinegary, buttery onions we're delicious, but it was less exciting or interesting than some of their other dishes.The desserts were all very good. I especially enjoyed the white guava granita with mint tea tapioca and green plum preserves. It was an ok experience.. the servers were nice, food was ok. Absolutely amazing experience!! Incredibly unique for foodies. Highly recommend. Staff was amazing, every one of them seemed proficient in their foods and drinks and they all seemed very friendly. And none of that was as good as the actual food! 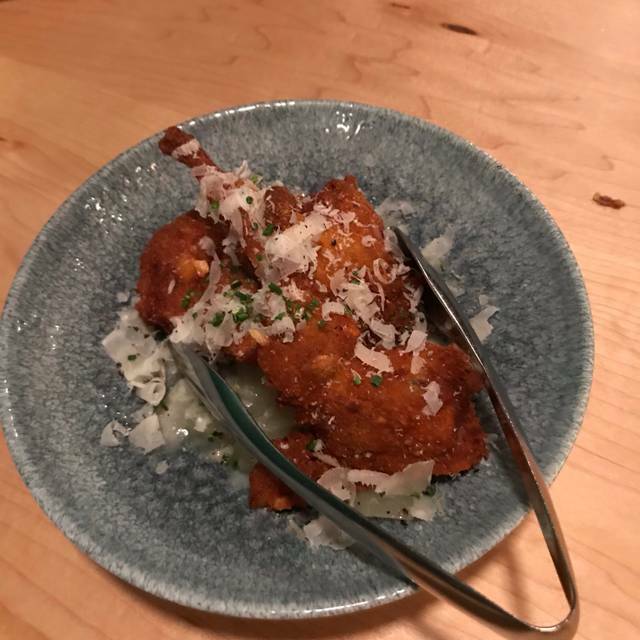 The best part about the State Bird Provisions experience is the food. Every dish that is served is no less than great. I loved every single dish I have had every time I've been here, and I love the dim-sum style of serving. The service is great, servers are generally attentive. I was the only non vegetarian in our group, we told the wait staff, but the servers labeled our entire table as Vegetarian, and I missed out on some of the amazing dished I had been waiting to try. While I always had the option of ordering from their menu, but it would be nice if the servers were a little more attentive to this. I am sure they often serve a group of people who are a mic of vegetarian and non vegetarian. Dim sum style, nice because you can see what you are ordering. Portions are not big but still surprisingly filling. Food was very good. Top notch. 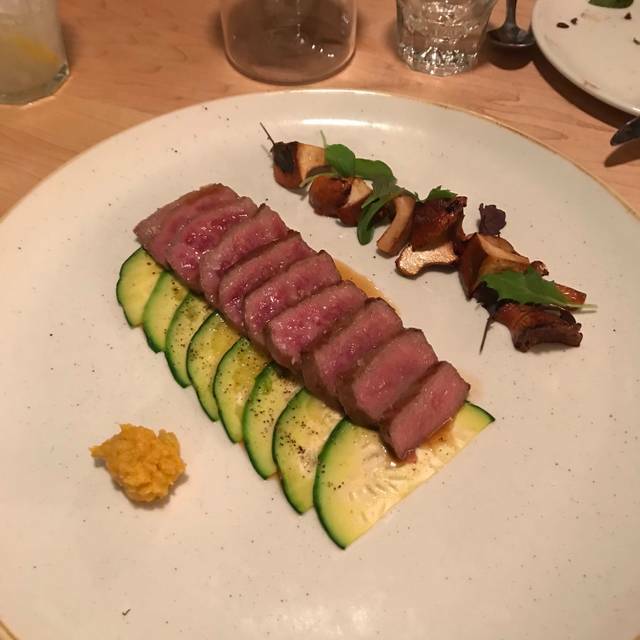 The food is outstanding and experience is truly unique - such a fun and tasty meal. Brought my parents here and they loved every minute and bite. The staff is so friendly and extremely attentive; especially considering how fast things move. Great food and service, with lots of creative combinations. Fun meal. Staff were very helpful about allergies and dietary restrictions - conscientious about pointing out possible problem ingredients in dishes, but without making a flap about it - still relaxed. Very very loud, unfortunately - kept having to ask my poor husband to repeat himself, and we had another table right next to ours, so he didn't want to yell. Overall, it was great and we had fun. Not a place for intimate conversation, and people who are hard of hearing are likely to struggle. Perhaps there's a quieter area than we were in? Service by Ivan and rest of staff was great, as always. Wine recommendations were tasty with the dishes we had. I look forward to going again soon. It took us a long time to get there, but it was worth it! Great food very inventive but not fussy and very relaxed, fun, bustling atmosphere. The dim sum style food serving is creative. 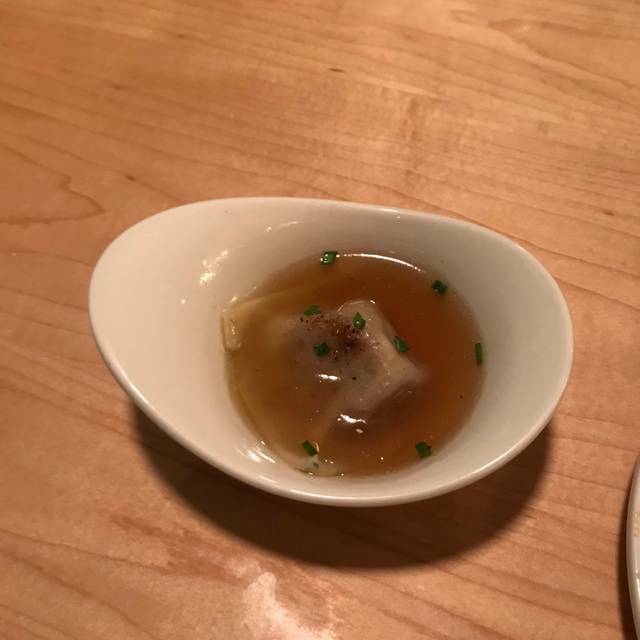 Love to be able to try different small dishes. Many with asian fusion influence. Delicious. Not worth the $300 we spent for two people. 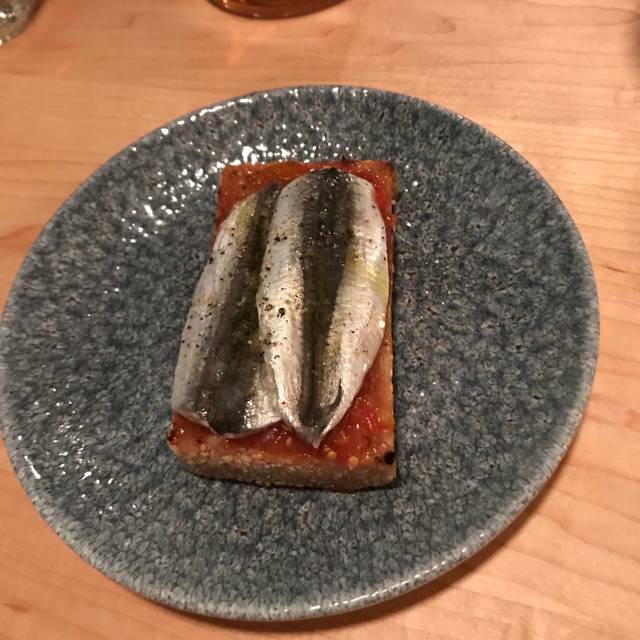 I'd honestly be shocked if you told me this was a Michelin star restaurant and I didn't already know that. The food was fine, not great, and a few of the items were overly salty. Plus? Solid wine list...the wine was very good and the best part of the experience. We always have an incredible experience at State Bird. Excellent customer service and some of the best food we have ever eaten. Birthday excellent! Looking fwd to the next visit! Everything about our experience was warm, welcoming and delicious. 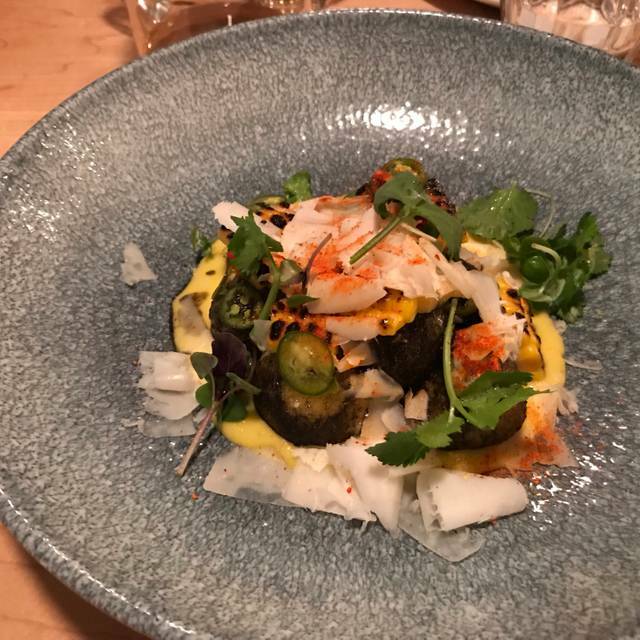 The variety and creativity in the various dishes was remarkable, even for SF, and the flavor and texture combinations inspired wows around our table. The servers were knowledgeable, personable and did a wonderful job of helping us navigate our selections. It was a meal we will all remember for a long time. I’m already looking forward to our next visit. It was amazing!! From the food to the service, all of it. It was our first time there and me and my gf loved it. All of the food was seasoned perfecrly and the service was on point. Everytime they dropoed something off or when we sat down and they explained what the restaurant was about it was amazing. Id love to go back and a shout out to Chef Gabby for stopping and talking with us on a busy night. Cant wait to be there again!! What a great concept! We love dim sum, and this place serves interesting, creative food in a similar manner - small plates come around on carts just begging you to take them to your table. The wine list is substantial and well-picked for the food on the menu. The signature dish is a must. I took my parents here who were visiting from out of town and we all had a great time. Food was excellent and varied. Really liked the concept here (partially dim sum style) and the food was good. We tried a ton but some items were definitely more WOW than others (dumplings, beet mochi, fried dough, peanut milk, and chocolate walnut boca nova were standouts for me). The decor was a modern style but reminded me of a children’s play room. Some of the two tops are right on top of each other basically so that was kind of unfortunate. Overall this place was fun and offered some different, delicious dishes and the experience was memorable. Absolutely delicious. I wish my stomach could have held more food.